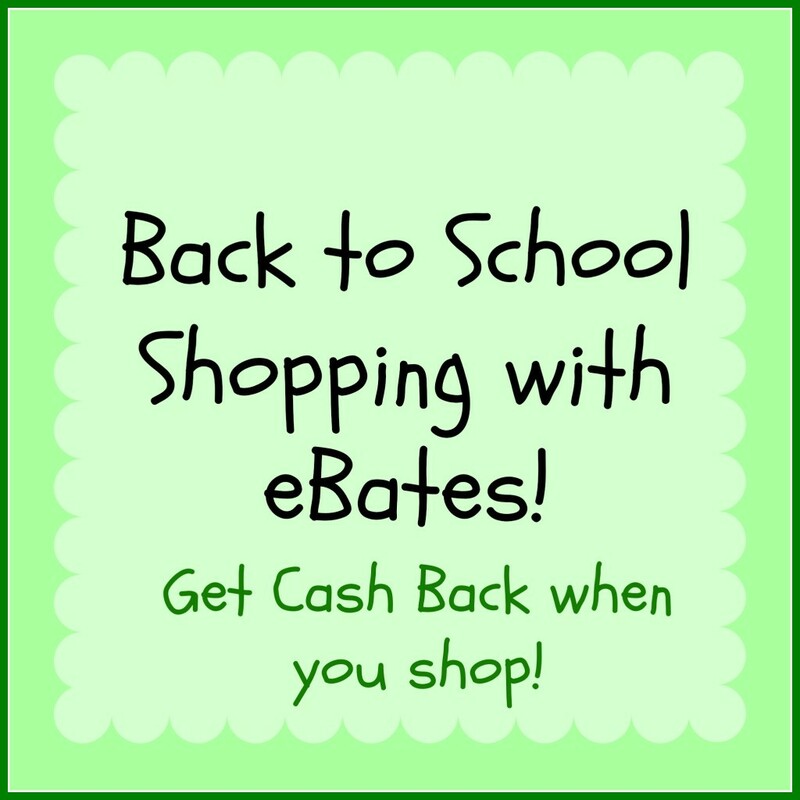 Back to School Shopping with eBates! This post includes a referral link to eBates but is not a sponsored post. All opinions are my own. These referrals help to offset the cost of providing you with free content on Detours in Life. Back to School time can be loaded with expenses. I know for us, we have shoes to buy, clothes, school supplies, and then all the normal fees for the year, fundraisers that start almost immediately, and the list goes on and on. It can really drain you financially, especially if you have more than one child. One way that I help to offset some of the cost is by doing as much of my shopping online using eBates. It is super easy to do and with every purchase, you earn a percentage back in your eBates account. Every 3 months, you can either get that money back in a check or you can use it at Amazon to purchase things you need! Often times, there are even additional coupons available through eBates that saves you MORE money. It’s really a win-win situation if you want an easy way to save money without clipping coupons and searching sale flyers. The stores available include but aren’t limited to: Macy’s, Lands End, Fossil, Gap, Dell, JCPenny, Toms, OshKosh, American Eagle, Walmart, Petsmart, Petco, and even home improvement stores like Home Depot and Lowes. The stores available are too many to mention them all, but trust me – you will find everything you need for back to school and everyday shopping! So far, through eBates, I have gotten back 244 dollars just by shopping for the things that I already need to buy! The process is simple: you create an account at eBates. When you want to shop, you can either start from their website and select the store you need or you can install a browser add-on which will blink when you are on a site that has eBates available. You activate it right there on the site and once you are finished shopping, the eBates money will be placed in your account. I also have to say, their customer service is AMAZING! I have had a few times where I went through all the right steps and my eBates never appeared. I emailed them, and even when I had missed a step, they still gave me a credit. They are very understanding and willing to help with any problems that might occur. Right now, several online sites/stores are offering double cash back on their Back To School sales! This makes shopping even better! Not only do I use eBates for back to school shopping, but I use them all the time for items I need at Home Depot and Lowes. You can get your eBates by ordering online for the items you need from the home improvement stores and selecting the “pick up in store” option. You can then pick up your items later that day and you earned the eBates cash back on your purchase! It helps me save money by not spending too much time in the store – which can be dangerous if you are someone that loves home improvement projects. Check out eBates and see how much money you can earn back by just completing your shopping online! Great tip. I haven’t used ebates before but sounds like you’ve earned a lot already. I like your tip about shopping for items online and picking it up in the store. Score! Thanks for sharing, I’ll have to sign up!